picot IN top of last tr post made, 3 sc over same tr post, sc in same picot as last tr post, ch 3. Designer’s Note: if you prefer a longer jacket you can add more rows after row 21 – add 5 more rows (ending on the odd # row) continue with Row 22 of the directions. 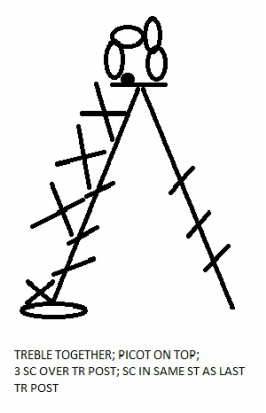 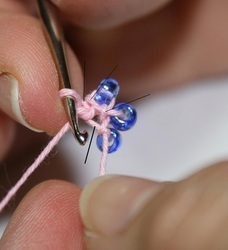 ​ hdc, ch 5 in ch-6 lp of row 16, hdc in tr post of row 16, ch 1, (dc in next ch-4 sp) twice, ch 1, working in picots around the Sleeve, (sc, ch 7, sc, ch 3, sc, ch 9, sc, ch 5) in next picot, (sc, ch 9, sc, ch 3, sc, ch 13, sc, ch 5) in next picot, [(sc, ch 13, sc, ch 3, sc, ch 13, sc, ch 5) in next picot] 5 [5, 5, 7, 7] times, (sc, ch 13, sc, ch 3, sc, ch 9, sc, ch 5) in next picot, (sc, ch 9, sc, ch 3, sc, ch 7) in next picot, join to beg sc, sl st in ch-1 and dc, (sc, ch 3) in sp before next dc, turn. 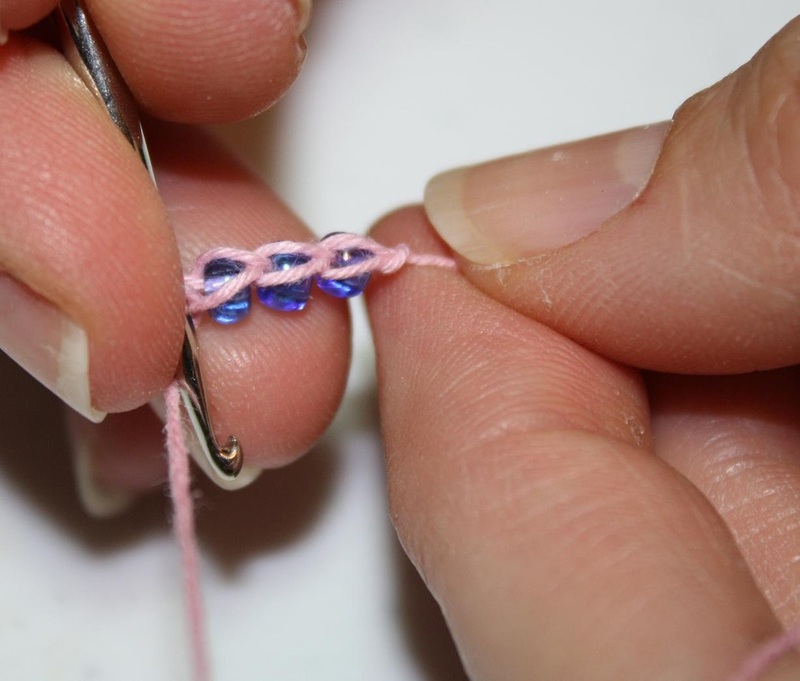 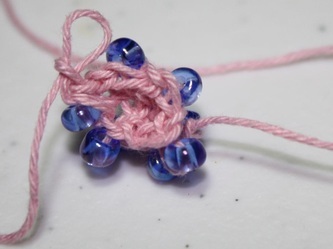 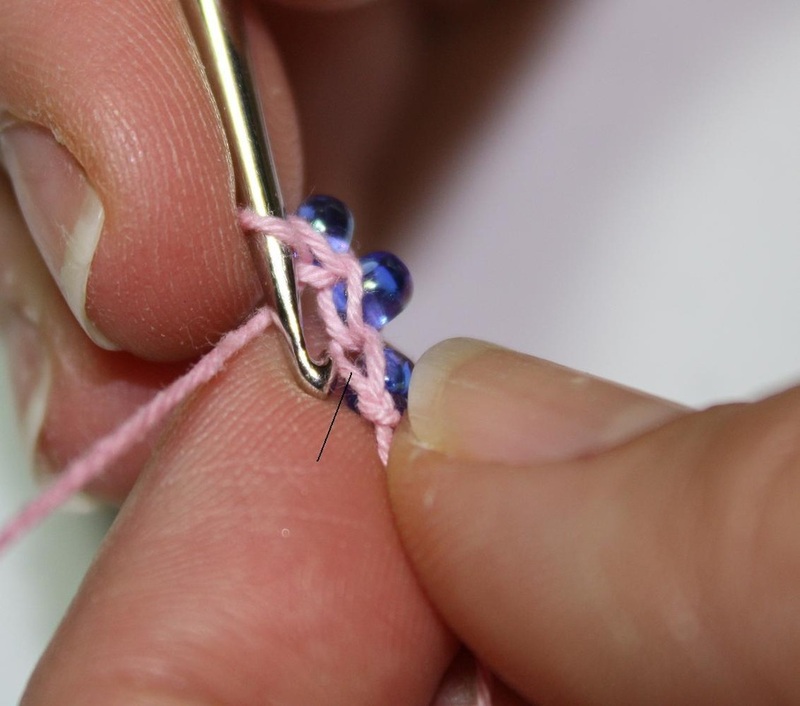 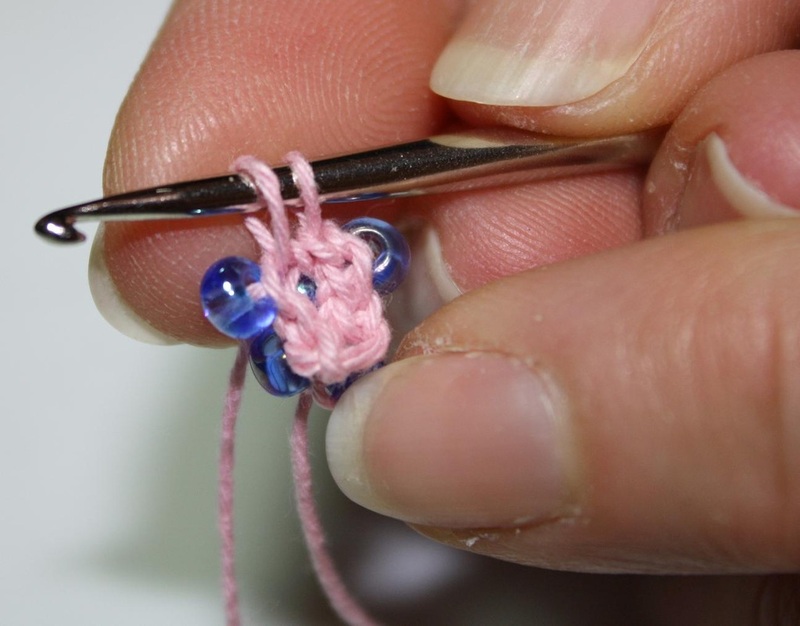 and in picot with stitch marker; do not turn.